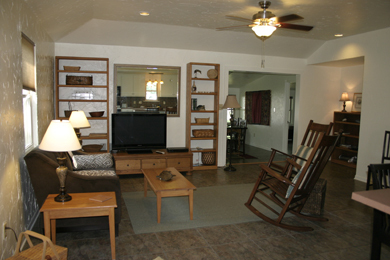 The living room as seen from the entry and kitchen has a vaulted ceiling, ceiling fan and a 42" HD with DirecTV and sports channels. 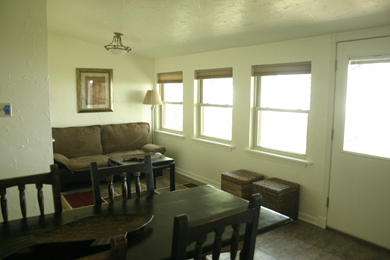 The living room openings up to the step down dining area and sun room. 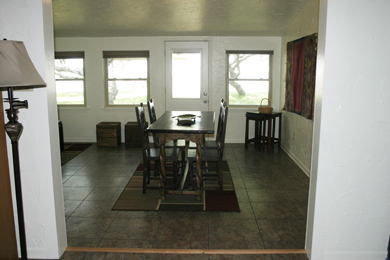 The dining area looks out onto the fishing pier and Baffin Bay. 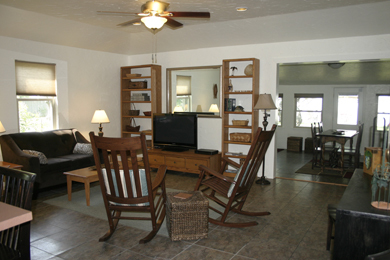 The sun room is a wonderful place to sit back and watch the bay. The fouton couch folds down to also create an extra sleeping area if needed. 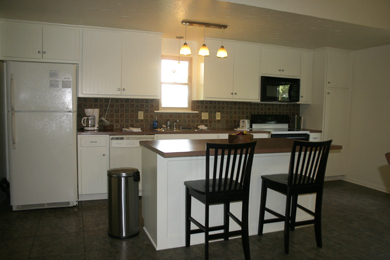 The kitchen, with island, is fully equiped with stove, refrigerator, dishwasher, disposal, dishes, glasses, pots & pans, silverware, linens, coffee pot, toaster, mixer, and blender. 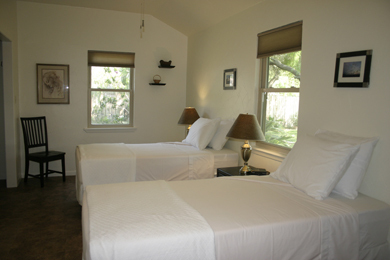 The master bedroom has a queen sized bed, a private bath room and looks onto the bay. 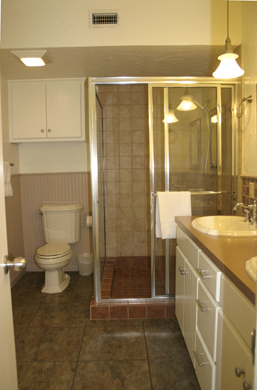 The master bath has a large vanity with double sinks and a glass shower with a bench. 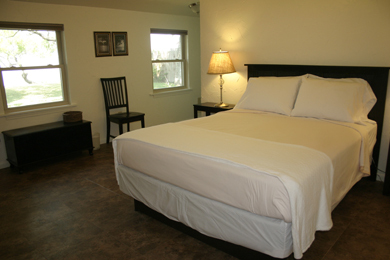 The two additional bedrooms in the house are extremely large with vaulted ceilings, ceiling fans, large closets, and can be set up with twin beds or a large king bed. 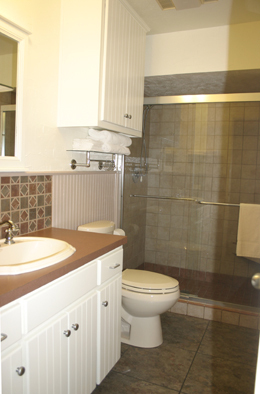 These two bedrooms share a large bath room. The second bath also has a large glassed in shower with bench and lots of cabinet space.